26.05.18 - YAA was very honoured to have an exclusive guided visit of the Axel & May Vervoordt foundation and the Axel Vervoordt Gallery at the newly opened Kanaal in Wijnegem. The introduction about the history and the mean of this extraordinary place was given by Boris Vervoordt and Laure Decock. Artists shown in the Gallery were Jef Verheyen, Otto Boll and Chung Chang-Sup. The Dinner was served in an unique location in the center of Antwerp - Plateau Royale overlooking the river. 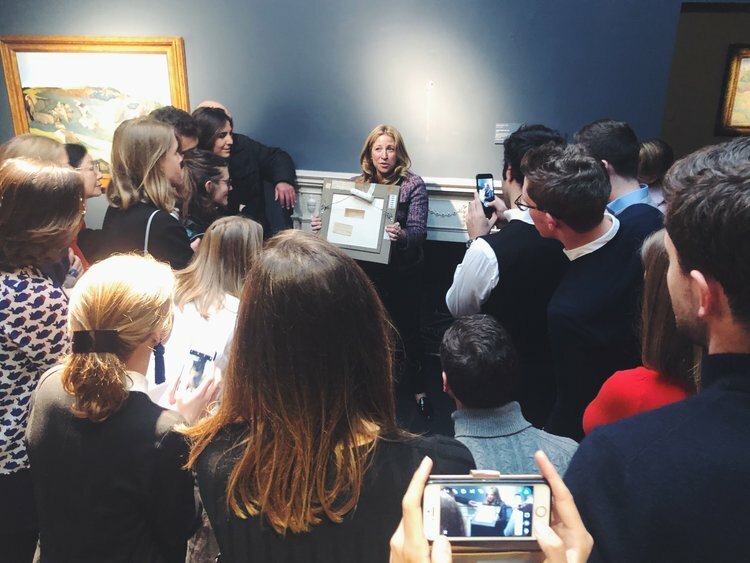 04.03.18 - A wonderful and very interesting Sunday afternoon spent at Christie’s London visiting the highlights of the Rockefeller sale with Jessica Fertig – senior specialist of this sale of the century. The Young Art Addicts couldn’t more be impressed by these masterpieces and were hanging on every word of Jessica!